This week’s reviews include releases from Above Aurora, The Amorettes, Black Salvation, Coldbones, The Golden Grass, Inisans, Kalmah, Kamelot, Kolossor, Lecherous Nocturne, Nekrogoblikon, Ritchie Blackmore’s Rainbow, Spiders, Valhalla Lights and Winterfylleth. 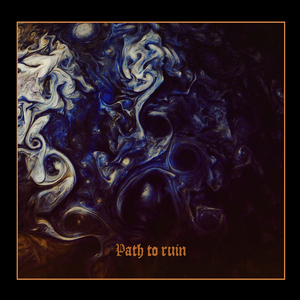 Path to Ruin is the first EP from Polish black metal group Above Aurora, following their 2016 Onwards Desolation debut album. Though the EP is not tied together by a singular theme, the first two of the three songs work better if thought of as separate parts of the same idea. That’s due to the hefty, mostly-instrumental opener “Delusional Disorder,” which seamlessly transitions into the deafening fortitude of “Abyssal Hades.” The symphonic hollowness that breaks in the middle of the title track devolves into a speed trap without recourse. Together, they make Path to Ruin more than some one-off tracks haphazardly cut into a mini-album. 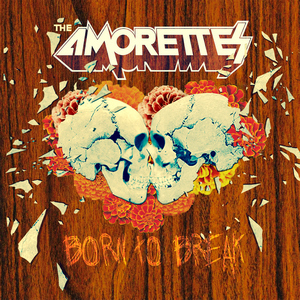 The Scottish hard rock trio The Amorettes have already made some noise in Europe, and with their fourth album Born To Break have signed with a new label that should help expose them to a wider audience. Vocalist/guitarist Gill Montgomery, bassist Heather McKay and drummer Hannah McKay play straightforward hard rock that’s catchy and melodic, but also with some edge and swagger. Musically they have been compared to bands like AC/DC, Motorhead and Airbourne. “Everything I Learned I Learned From Rock And Roll” certainly has an AC/DC vibe, as do a few other tracks, but they bring their own style to the table as well. While the music is raw and gritty, Montgomery’s singing style is smooth, and there are some excellent vocal harmonies. It’s high octane rock that’s perfect for cruising with the top down or the soundtrack for your next rager. 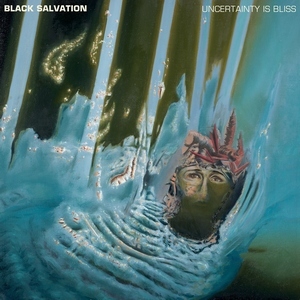 The 1960s may be long gone, but Black Salvation didn’t get the heads up with the psychedelic hard rock of Uncertainty is Bliss. This could’ve been the featured performance on a Swedish talk show in the early 1970s, as they played in front of a green screen having an acid flashback. The space to jam out on songs like the title track and “In A Casket’s Ride” should make for wild live performances, while they reign in their indulgent tendencies on potential single “Breathing Hands.” Tracked over the course of a week, Uncertainty is Bliss has the creative impulse of a band with little time to waste. Where It All Began is the debut album from Coldbones, an instrumental post-rock/shoegaze outfit from the UK. 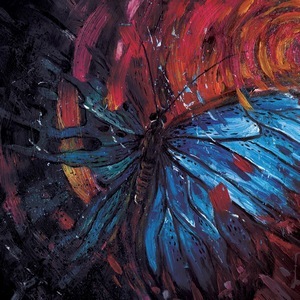 This is a raw, atmospheric album that aims to depict the life cycle of a butterfly. That subject matter combined with the band’s style tells us we are in for an album that will be hypnotic and beautiful at times, chaotic and angular at others, and that’s not far from the truth. But while there are some pleasing qualities about the music, the combination of ridiculous amounts of reverb and a horribly brickwalled album mastering make this a very unpleasant listening experience. Any promise the band has is destroyed by making Where It All Began one of the worst-sounding recordings of the year. 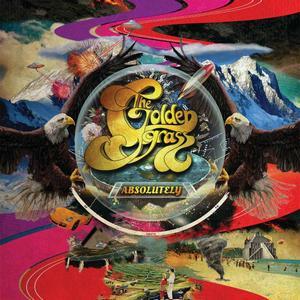 The Golden Grass are a Brooklyn hard rock trio reminiscent of the early 1970s in terms of style. Think Leafhound, Captain Beyond and Wishbone Ash. The music chugs along with fat riffs and a stoner type of feel. This being their third proper release it makes sense that they got the attention of Listenable Records, a move that will likely push them into the overall focus. The band manages to throw in some southern influenced grooves on “Catch Your Eye,” which is a soft open for the power the band displays on tracks like “Runaway” and “Show Your Hand,” which both trade the mid-tempo for something with a bit more adrenaline and some singalong choruses. I know some listeners would roll their eyes at a band in this style, but their approach is one of the more genuine in the genre, like Admiral Sir Cloudesley Shovell and Hallas for starters. If you dig groove and stoner rock, The Golden Grass might be a band you want to follow. Formed in 2009, Inisans have released the demo Morbid Vision Of Death and a split with Skelethal, in 2012 and 2014 respectively. Their debut demo was so tight and impressive and paved the way for them to rise up again and offer their first studio album, Transition, 30 minutes of pure attacking Swedish death metal. Transition has a deep groove, with strong murky and lo-fi atmosphere behind the songs shadowing over them. While the aggression never stops throughout the record, it confronts melodic parts briefly in order to recall an important part of Swedish death metal. Inisans are powerfully paying homage to their fathers of this genre on Transition, while a leather jacket and bulletbelt completes the picture. 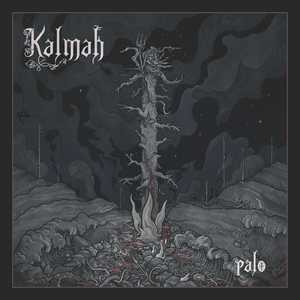 Finnish swamp metal masters Kalmah have been around for two decades now, and after a nearly five year span since their last album, return with Palo. Usually labeled as a melodic death metal band, Kalmah certainly meet the criteria, but also bring other styles to the table. There are a lot of epic moments that push the power metal envelope, along with crushing heavy parts, atmospheric sections and even some folk flavors. It’s all driven by the first-rate guitar work of Antti and Pekka Kokko. There’s plenty of diversity, with catchy, melodic tracks like “Take Me Away” contrasted by more intense but still groovy songs like “Waiting In The Wings.” With razor sharp execution and quality songwriting, Palo is another potent addition to Kalmah’s impressive arsenal. 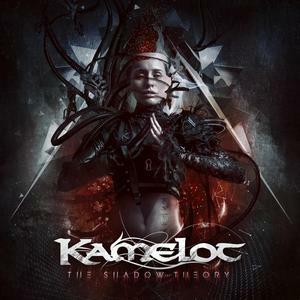 The Shadow Theory is the twelfth studio album from the veteran American progressive/power/symphonic metal band Kamelot, and the third to feature vocalist Tommy Karevik. It has what you’d expect from a Kamelot album: lushly arranged songs with a lot of depth and diversity. In addition to Karevik’s emotive and powerful vocals, Once Human singer Lauren Hart guests on two songs, with Beyond The Black’s Jennifer Haben appearing on “In Twilight Hours,” one of the album’s strongest tracks. While there are a couple of songs that are more style than substance, most manage to inject enough hooks and melodies to give the well-produced tracks some staying power. 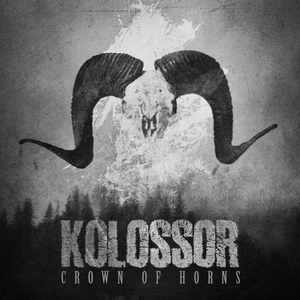 Music as sludgy as Kolossor’s Crown of Horns has to come from some river bank in the southern US, right? Nope. Kolossor do hail from the south; of New Jersey, that is (there are swamps there, believe it or not, in-between the smoggy highways and Bon Jovi tribute bands). From this sweaty, mud-ridded, fertile land rises a bounty of chunky riffs. Too bad that the songs themselves can’t make much out of these riffs, cruising along without leaving a significant trace behind. Crown of Horns wants to rise out of the swamp, but gets mired in an unexpected deep water spot. 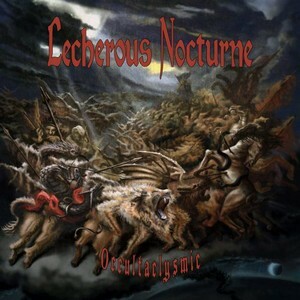 There is a very brutal approach brought forth by Lecherous Nocturne on Occultaclysmic, the American death metal band’s fourth full-length release. The music is held in check by solid songwriting that backs everything up and makes it more cohesive. The music is raw and visceral, bringing a huge impact to the table. It suits the band’s wares well, though I wish they would be more adventurous. There is a quickness to the band that is also welcome to behold. The entire affair is a cacophony of rhythms that is quite well constructed. The problem with the band is in the simplicity of their style. It doesn’t quite reach far enough into the areas of technicality to become overly interesting at any point. Also, the production lacks a bit of punch and clarity. Lecherous Nocturne still bring a huge presence and viciousness to the table. They are a powerful act that has the chops to make a strong showing with the listener. Occultaclysmic is a decent effort of death metal bliss, I just wish it would push the boundaries more. California purveyors of goblin metal Nekrogoblikon have had a couple of lineup changes since their last album. Joining the band for their latest release Welcome To Bonkers are bassist Sack and drummer Eric W. Brown (Inferi, Vale Of Pnath). Their sense of humor and love of goblins is intact, evidenced by tracks such as “Dressed As Goblins” and “Thanks For Nothing Moon.” They play melodic death metal with raspy harsh vocals and melodic singing from Scorpion, with periodic forays into symphonic and tech death and some industrial influences. It’s not really bonkers, but the most unusual track on the record is the catchy “The Magic Spider,” which injects melodic crooning and downright peppiness into more extreme parts. 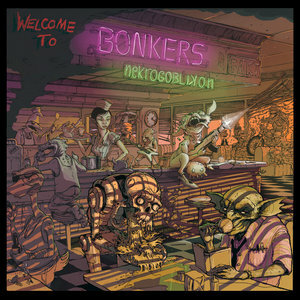 Closer “Goblins” is hard rock with all singing vocals, ready to rocket to the top of the goblin rock chart. Ritchie Blackmore reformed Rainbow a few years ago with an entirely new lineup, playing some live shows in 2016. That resulted in 2016’s Memories In Rock: Live In Germany. In 2017 they did some UK shows, chronicled with the live album Memories In Rock II. 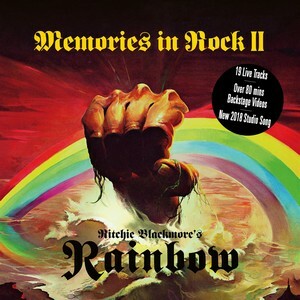 The double CD includes Rainbow classics such as “Man On The Silver Mountain,” “Since You’ve Been Gone” and “I Surrender” along with Deep Purple songs like “Perfect Strangers” and “Smoke On The Water.” Missing are Rainbow’s biggest commercial hits, “Stone Cold” and “Street Of Dreams.” There’s also a new studio song, “Waiting For A Sign,” recorded with current vocalist Ronnie Romero. It’s a bluesy track with some excellent riffs by Blackmore that fits well into the band’s catalog. In addition to the two CDs, there’s also a bonus DVD with interviews of the current incarnation of Rainbow. While many wish Blackmore would have included some of his former bandmates in the reunion, it is good to hear him playing rock music again. 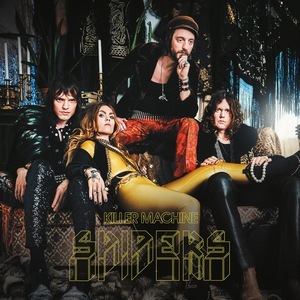 Gothenburg’s Spiders are back with their third album, Killer Machine. The band’s classic hard rock style is intact, both aurally and visually – as though Stevie Nicks was fronting a glam rock band in 1977. The goal is a darker album than 2014’s Shake Electric. The results are hit and miss. Spiders are still at their best when banging out up-tempo, energetic rockers such as opening track “Shock and Awe,” but these gems are interspersed with a number of laid-back, mid-paced songs that tend to drag. When Spiders crank it they are truly engaging, but too often on Killer Machine it sounds like they’ve just mailed it in. 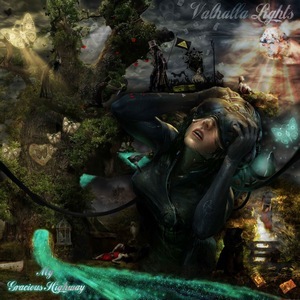 Similar to Spiders, Valhalla Lights are a female-fronted hard/retro rock band – although musically they have more in common with the band Pristine. This crew hails from Australia, and features band members from stoner rock band Fort as well as Ange Saul, formerly of The Black Lullaby, who takes the late Phoebe Black’s place. My Gracious Highway is the band’s second record. My Gracious Highway is an excellent hard rock/traditional metal album, featuring plenty of massive riffs, driving rhythms and tender ballads, all anchored by Saul’s amazing vocals. Whether it’s the anthemic “Rise Above” or the touching “The One,” Valhalla Lights have a leading contender for hard rock album of the year on their hands. 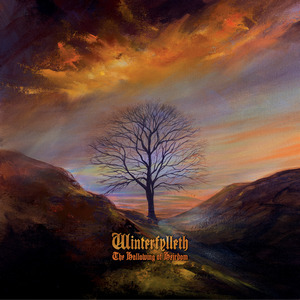 Over the past decade, the UK black metal band Winterfylleth have shown ample capacity for destruction, darkness and heaviness that’s balanced with atmosphere and emotion to create powerful albums. For their latest album The Hallowing Of Heirdom only the latter half of that equation is in play. It’s an acoustic album with all menace and aggression stripped away, leaving melody and emotion to carry the day. They incorporate different instruments as well, adding strings, glockenspiel and flute to the acoustic guitars. The songs are peaceful and pastoral, but the folk-infused tracks still pack an emotional wallop and a different type of catharsis. More than a gimmick, it’s a skillful album that should resonate with Winterfylleth fans.